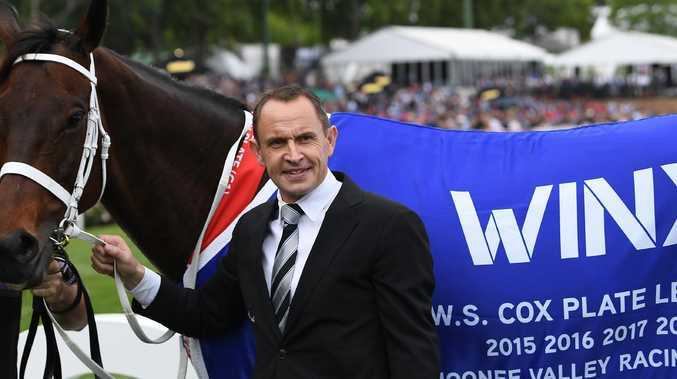 CHRIS Waller understands the reality is he will never train a horse as good as Winx again - but that won't stop him from trying to find his next champion starting Monday. "On Monday morning I will wake up and go to trackwork and still be as competitive as I've ever been,'' Waller said yesterday. "That's why we do this job. I love racing, I love working with horses. 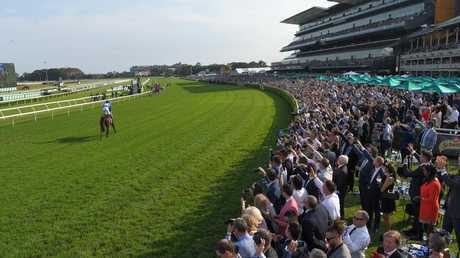 Winx completed the fairytale ending to her extraordinary career with a 33rd consecutive win in the Queen Elizabeth Stakes (2000m) at Royal Randwick last Saturday. The champion mare retires with 37 career wins (the same as Phar Lap) including a world record 25 Group 1 successes. Her career earnings of $26,451,174 (14,485,191 pound sterling) is a world prizemoney record - the first time an Australian racehorse has retired as the sport's all-times leading stakes earner. Waller is obviously proud of Winx's unprecedented racetrack achievements but the trainer was diplomatic when asked if his mare was the greatest champion in Australian racing history. "No she's not, but she's very close to it and I couldn't tell you the horse that is, I don't think that would be fair,'' Waller said. "I think horses touch generations and you must respect that and people go through different parts of life. 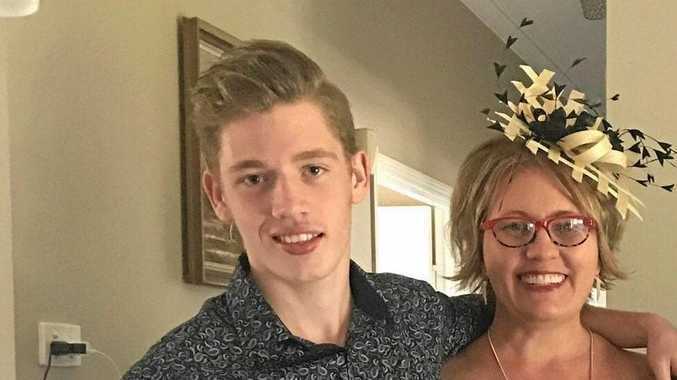 "There's been so many great horses and if she's even spoken about in the same sentence as Phar Lap and your other great horses, even in recent years Black Caviar, she was undefeated, and your Kingston Towns, everybody's got their favourites . Winx was paraded before the media one last time at Rosehill Gardens yesterday morning as Waller tried to explain what made the mare such a good racehorse. "She's made us look pretty good,'' the trainer said. "It's hard to quantify but I would say (Winx is) 10 per cent better than her opposition. "Australia's a massive breeding (and racing) country, we've got a great industry, and to be 10 per cent better than your rivals over a four-year period - that's how this winning sequence has been able to keep rolling. 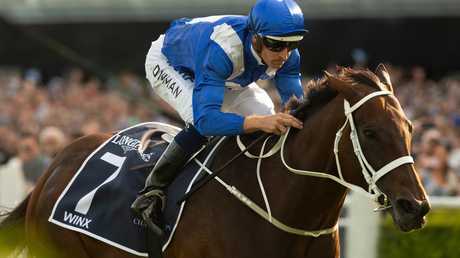 Waller ended any speculation of a Royal Ascot campaign, confirming Winx's retirement, and revealing he has no regrets about not taking the mighty mare overseas to race. 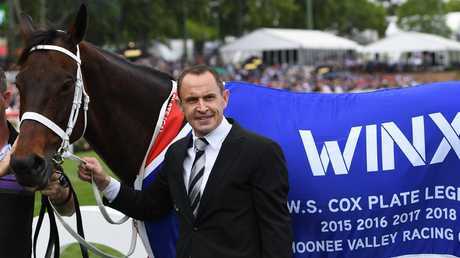 "The decision's been made to retire her while she's safe and that's how all horses just have to be retired,'' Waller said. WINX will remain at Waller's Rosehill stables for a few more days before she is finally retired to stud. Owner Peter Tighe there has been no discussions yet about which stallion will serve Winx during the spring breeding season. "The ownership group will meet probably at the end of this month and see what our options are,'' Tighe said. "We have already had a couple of offers from studs but there has been no discussions yet on the stallion. 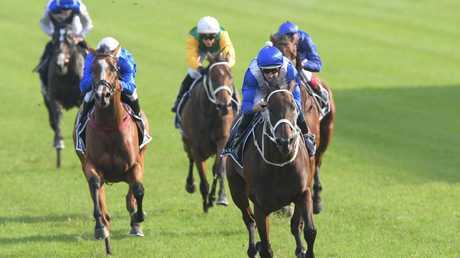 WINX'S farewell stole all the headlines at Royal Randwick last Saturday and took attention away from some significant achievements for Chris Waller. Waller became just the sixth trainer to prepare 100 or more Group 1 winners with his hat-trick of majors - Verry Elleegant (ATC Australian Oaks), Winx (Queen Elizabeth Stakes) and Shraaoh (Sydney Cup). The champion trainer has now prepared 17 Group 1 winners for the 2018-19 season, breaking his previous best of 15 set in 2015-16. Waller is now within sight of the all-time record of Bart Cummings with 21 wins in 1974-75. Waller's runner this season have already amassed a staggering $35,712,400 - a new all-time record and there is still more than three months of the season remaining. 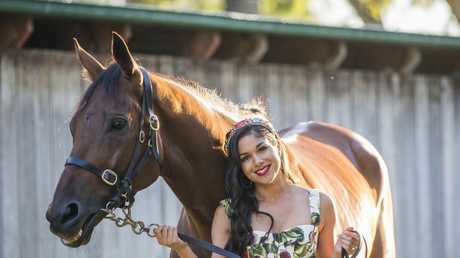 PAT Webster has begun his campaign to try and get Happy Clapper a start in the $14 million TAB Everest this spring. Happy Clapper had his 11th and final career clash with Winx in the Queen Elizabeth Stakes and, as always, chased home the champion mare, finishing fourth. Webster confirmed stable star Happy Clapper will be spelled but he is hoping for an invitation to run in The Everest. Will Happy Clapper contest the Everest? "We will come back for the spring and I'd like to go run him in The Everest - I guarantee you he will finish top four,'' Webster said. Classique Legend, an impressive winner of the Arrowfield Sprint last Saturday, is also in The Everest mix with trainer Les Bridge revealing he has received some "feelers" from slot-holders. ANDREW Adkins has multiple fractures and faces an extended period on the sidelines after his horror fall from War Baron near the winning post of the opener at Royal Randwick last Saturday. The stay young jockey has a displaced fracture to the T3 vertebrae, fractured eye socket, fractured nose, fractured sternum and compound fractures to the T2, 3 and 4 vertebrae. The positive news is that Adkins's injuries do not require surgery.